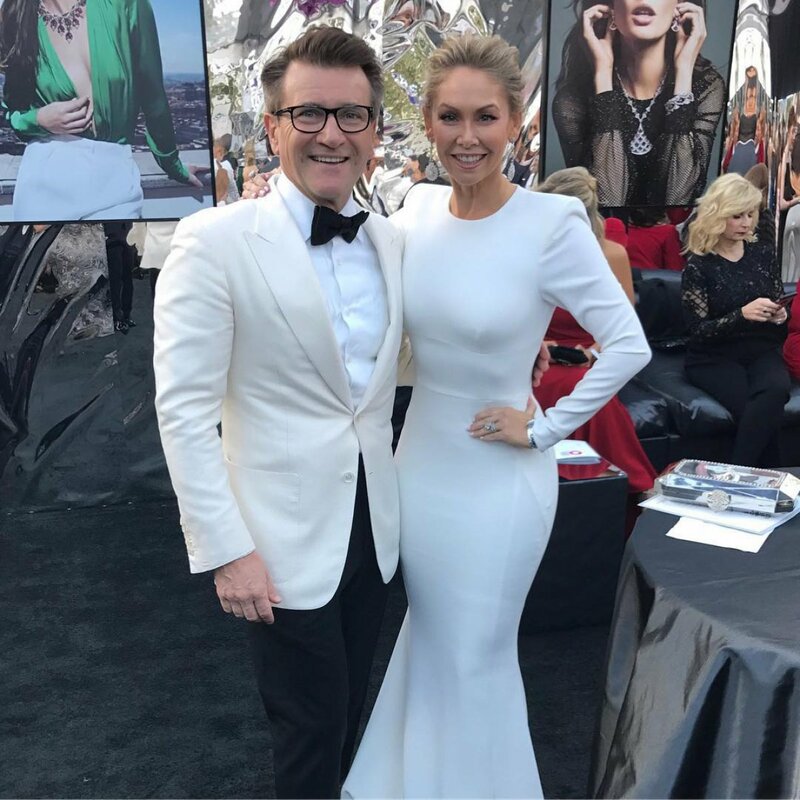 Kym Johnson and Robert Herjavec are certainly going to have their hands full. The longtime Dancing with the Stars pro, 41, and the Shark Tank star, 55, are expecting not one baby, but two! "We waited so long that we decided to double up!" Kym and Robert told People. "We are very grateful for the blessing of twins." Kym confirmed her pregnancy via Instagram on Monday, and on Tuesday, Kym posted a picture of her little white dog standing behind the book Good Dog, Happy Baby: Preparing Your Dog for the Arrival of Your Child. Kym and Robert met and seemingly fell in love on Dancing with the Stars' 20th season in Spring 2015 when they competed as a professional and celebrity pairing, and they continued to date after finishing the competition in sixth place. "I enjoy every minute I spend with Kym," Robert added at the time. "When I met her I felt complete." Kym is going to be a new mom in her first marriage, but Robert was previously married to Diane Plese, with whom he welcomed three children. "It feels like we've known each other forever," Kym told the magazine in August, shortly after celebrating her one-year wedding anniversary with Robert. "It's been almost three years since we met. He's just amazing. We're best friends, and it's just easy."